​SAN ANTONIO - UBS Financial Services Inc. is set to occupy the third and fourth floors of the 11-story Concord Plaza office building at 200 Concord Plaza Dr.
Each floor of the 168,122-sf property is about 15,283 sf, which would make UBS' potential lease nearly 30,570 sf across both floors. 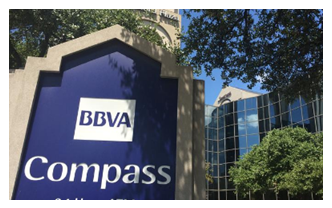 The property is anchored by BBVA Compass, but come next year, the company will move into its new 28,600-sf home in the Weston Centre in downtown San Antonio. The significance here is that even though the property is preparing to say goodbye to one major tenant, it already has one lined up to fill its shoes. Concord Plaza is marketing rental rates of $27.50 per sf.